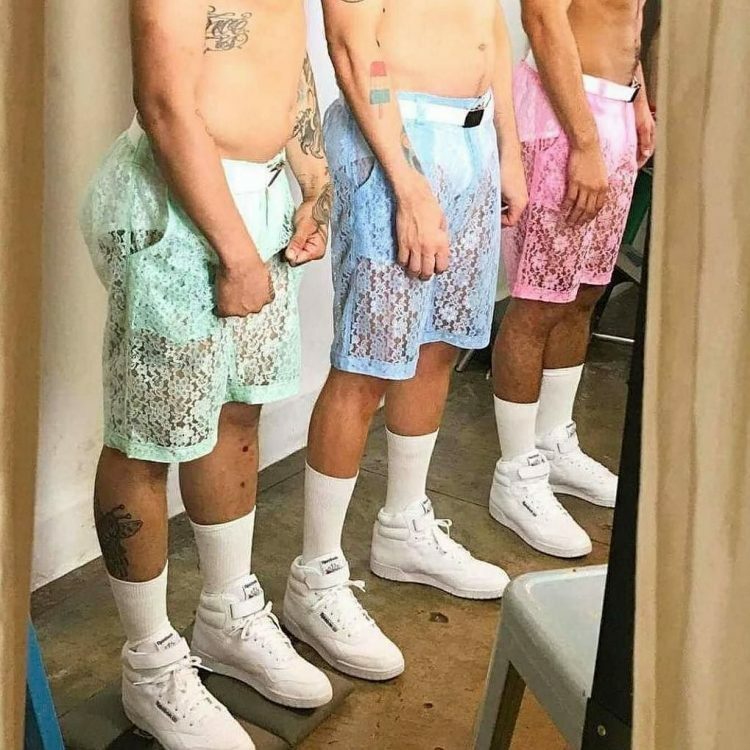 Specializing in revealing mesh clothing for men looking to draw attention to themselves, Hologram City is no stranger to pushing the boundaries of menswear, but some believe they might have gone a bit too far with their latest collection of lace shorts and shirts. Made entirely of floral lace and with no opaque fabric underlay, they are about as breezy as clothes get, and offer a clear view of the wearer’s tighty-whiteys. 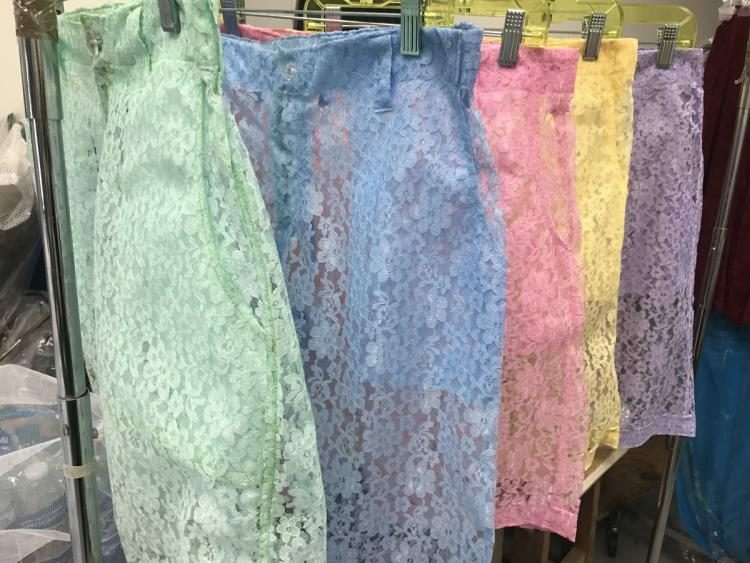 Currently available for pre-order at Hologram City, the lace shirts and shorts come in a variety of pastel colors, like green, pink, blue, purple, and yellow, and cost $49 each. Photos of the unusual male garments have been picked up by various fashion publications, some of which believe they may the next big trend in men’s casual wear, and have sparked some hilarious jokes on social media sites like Twitter and Facebook. 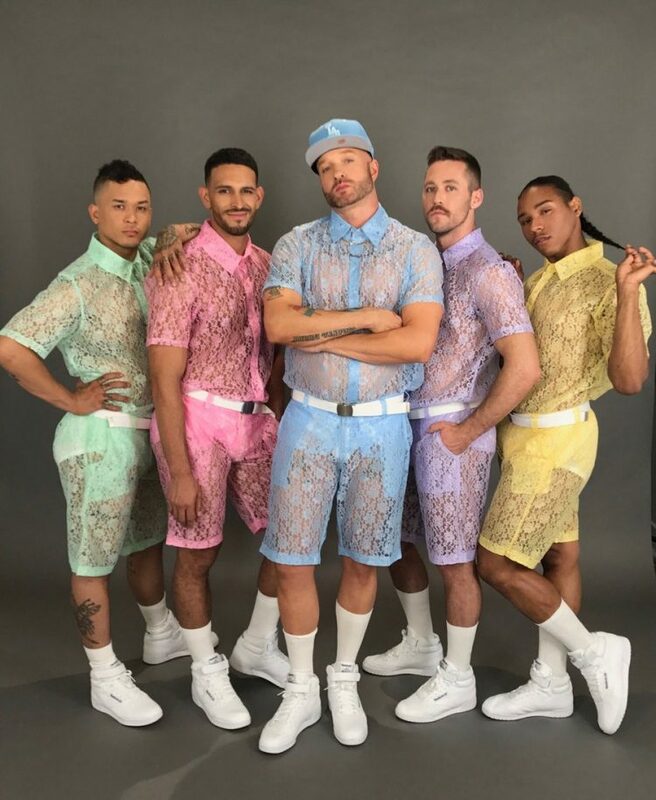 “Lace shorts for men??? Y’all gotta chill with this stuff man,” one Twitter user wrote. “Jayden Smith and myself will endorse this,” another person commented. But, joking aside, some people are genuinely interested in these things. Most of them are women looking to play a joke on their male partners, though. Floral lace shorts and shirts for men launch June 15th. Look out for them!